The VOLTA luminaire family offers superior performance ad reliability. The product is designed to offer maximum light intensity with minimal power consumption and industrial-leading efficiency with 140 lm/W. The solution allows to optimally illuminate the environments, ensuring correct lighting levels, bright light guaranteed over the time and a considerable reduction in energy consumption. The innovative design features and the absence of the glass ensuring a high resistance to shock and vibration and protection against external agents. Volta drastically reduces energy consumption and maintenance costs, enabling rapid payback time, even in industry with extreme conditions and ambient temperatures until 75 °C. 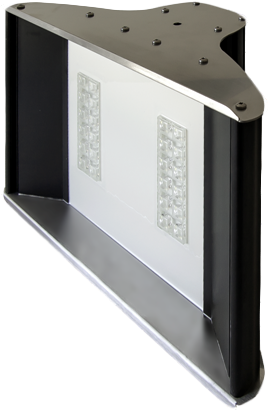 Three optic options deliver high-quality light and maximum efficiency and flexibility to meet the needs of different environments. Biesse Group is a world leader in the production of machines and integrated systems for processing wood, glass and stone. The company was established in Pesaro in 1969 and today is a multinational entity with eight production plants, more than 210 industrial patents and more than 2,200 employees. 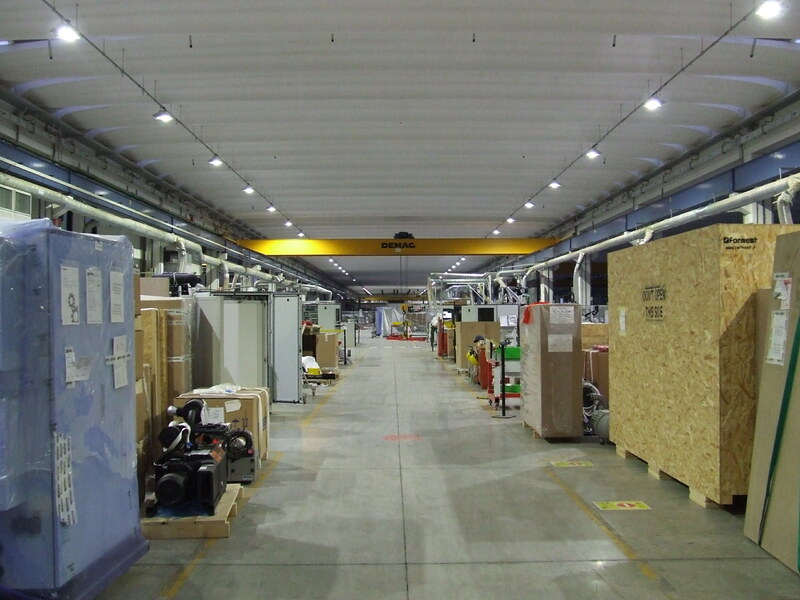 The Greenled Industry solution has increased illuminance level and energy performance of the plant. Visual comfort is improved, the light is uniform and the visibility is increased in accordance with the luminance requirements and in compliance with the different visual tasks. The saving in energy consumption is estimated in 768,600 kWh per year with a reduction of carbon footprint. Biesse has avoided to emit about 553,392 kg of CO2 in the atmosphere by strengthening its commitment to sustainability. We create value together with our partners. Professionals at your service to give you the best solution.